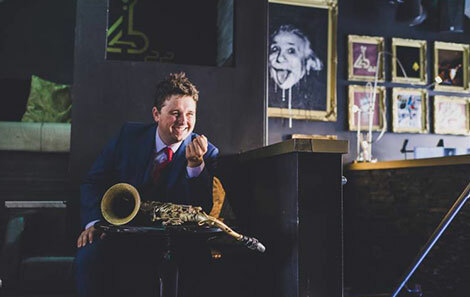 With this year’s AmserJazzTime Festival kicking off on Friday, we caught up with some of our current Jazz students to hear what inspires them and what we can expect from their performances during the 5-day festival at the College. 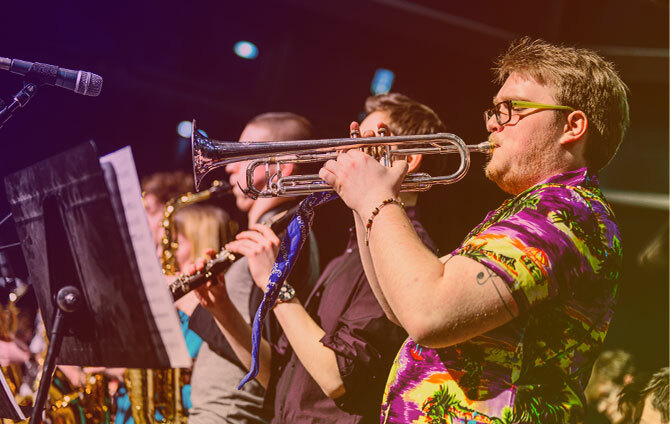 As part of the festival, The Residency will give all current jazz students the centre-stage in the cosy setting of our Richard Burton Theatre. Don’t miss out! When did you starting playing the saxophone? I started playing the sax when I was 7. I was inspired by The Blues Brothers scene where Blue Lou Marini plays the sax solo on the dinner counter during Aretha Franklin’s tune ‘Think’. What are you most looking forward to over the festival? I’m really looking forward to having the chance to see other advanced professional players perform, and to gain inspiration on how to conduct yourself in such an environment. My goal is to be performing professionally on the national and, hopefully, the international circuit, with both my own personal groups and with other professional outfits. See Jack perform at 4.45pm and 5.45pm Tues 13 June in the Richard Burton Theatre. Do you play in any jazz ensembles or groups? I play in a nine-piece Latin jazz band – Michael Blanchfield’s Big Day Out and also with the RWCMD Big Band. What do you love about jazz music? Jazz has it all. Whether you’re dancing or sleeping, working or resting, on your own or with friends – whether it’s Sunday morning or Friday night, jazz is the one. It’s opened my eyes to so many other types of music and art because it’s so varied. I meet people through it, I travel with it and I dance to it – what more could you want? Can you tell us about the pieces you will be playing in the AmserJazzTime Festival? Frazer McIntosh and I are playing a piano duo set, which neither of us have done before and which hasn’t appeared in AmserJazzTime in a while. Exciting stuff. See Michael perform at 3.45pm Fri 9 June in the Richard Burton Theatre. Tell us what you love about jazz music. Jazz always offered me a level of creativity and musical freedom that other genres couldn’t; I love finding new sounds. I love the AmserJazzTime Festival; each year it shows off the unique spirit of each and every musician on the course, as well as bringing in fantastic players from the professional realm. I’m hoping to keep pushing up and up! In five years’ time, I’m hoping to have moved to either London, Paris or Amsterdam to continue my education and access the incredible jazz scenes they have. 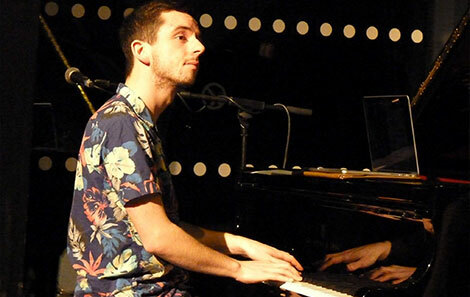 See Tom perform at 2.30pm Fri 9 June in the Richard Burton Theatre and at 4.15pm Sun 11 June in the Foyer. 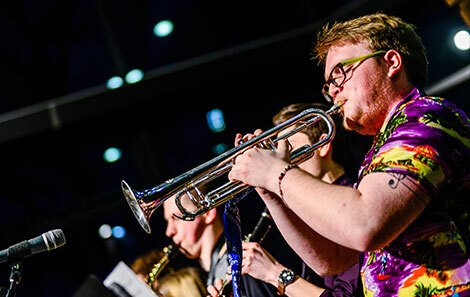 The 5-day Jazz festival combines free performances by RWCMD students and graduates with visiting artists such as Tina May, Jacqui Dankworth and Charlie Wood.